The North Carolina High Country is a great place to find beautiful luxury homes in North Carolina mountains. Areas such as Linville, the Grandfather Mountain communities and Banner Elk feature fantastic amenities like golf and tennis you can relax and have a great time in your home away from home. Search our site for Luxury Homes in North Carolina and you’ll find custom timber frame homes with native poplar bark exteriors, mountain estates with views that span across more than two states and so much more. The real estate opportunities are amazing here. The lifestyle is even more amazing. Golf is a huge seasonal activity here, and there is no better place to enjoy the cool mountain air in the summer than the golf course. There is always something going on in the High Country. Annual festivals, community gatherings and other social events make our Blue Ridge Mountains popular for second home and seasonal residents. View the luxury homes in North Carolina for sale in our listings. 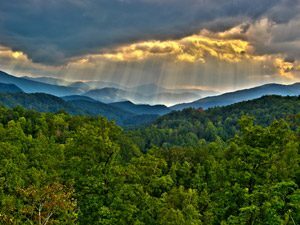 All are located in the secluded mountains of western NC and are also not far away from Banner Elk, Boone, and Blowing Rock, so there are endless possibilities of things to do. Our goal is to find you a luxury home in North Carolina that takes your breath away. The Mountain Group at Premier Sotheby’s International Realty assists clients with impeccable taste. We understand what our discerning clients want in a home. Homeowners that are looking to list their property should contact us. Our knowledgeable agents are equipped with the tools and experience that they need to successfully market your home to buyers across the country and internationally.